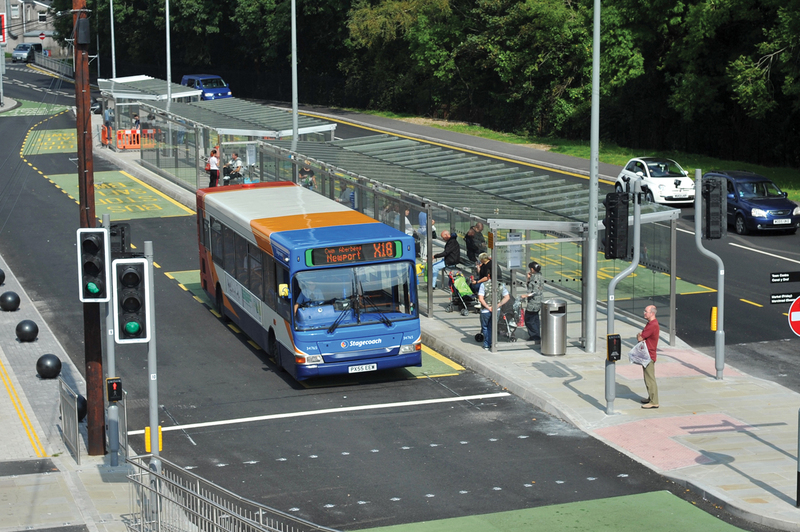 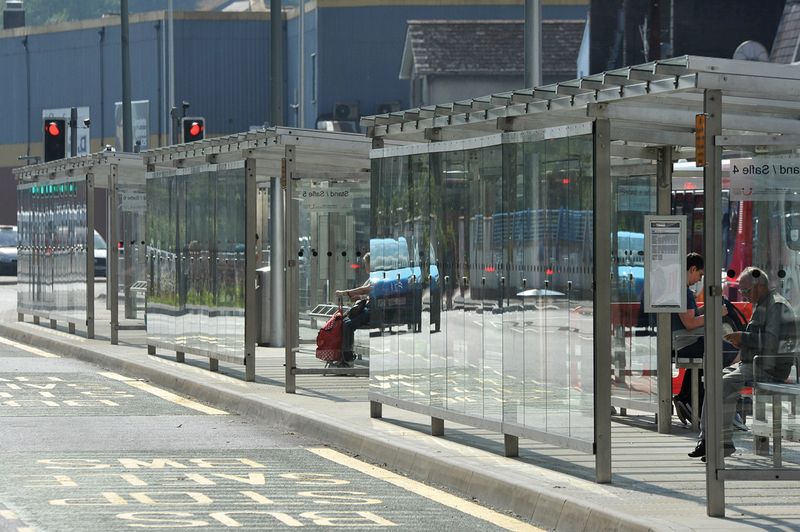 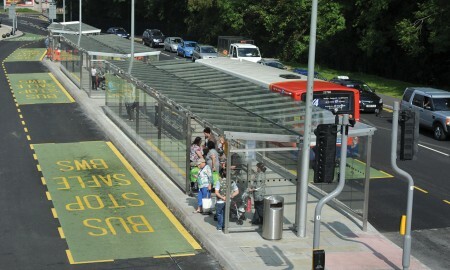 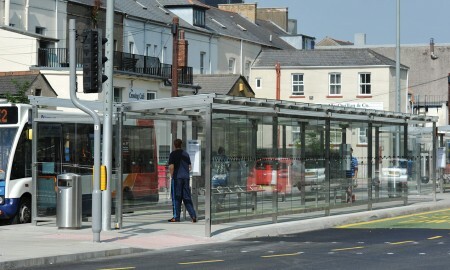 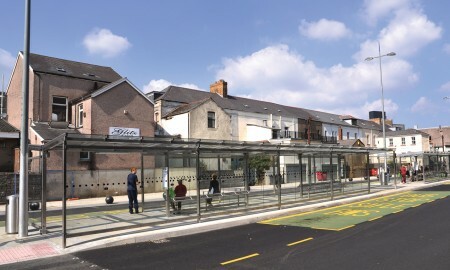 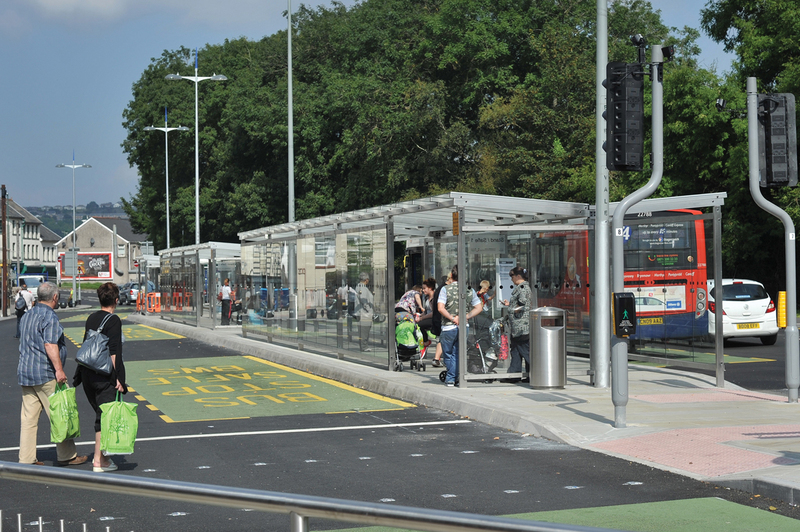 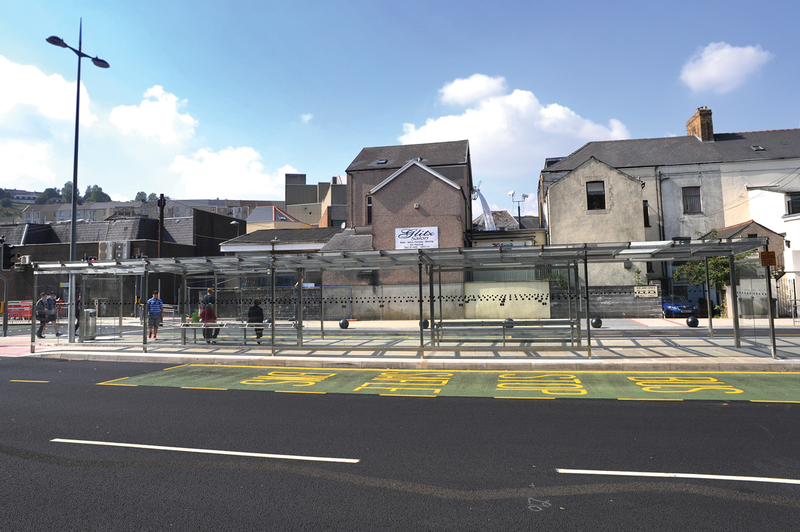 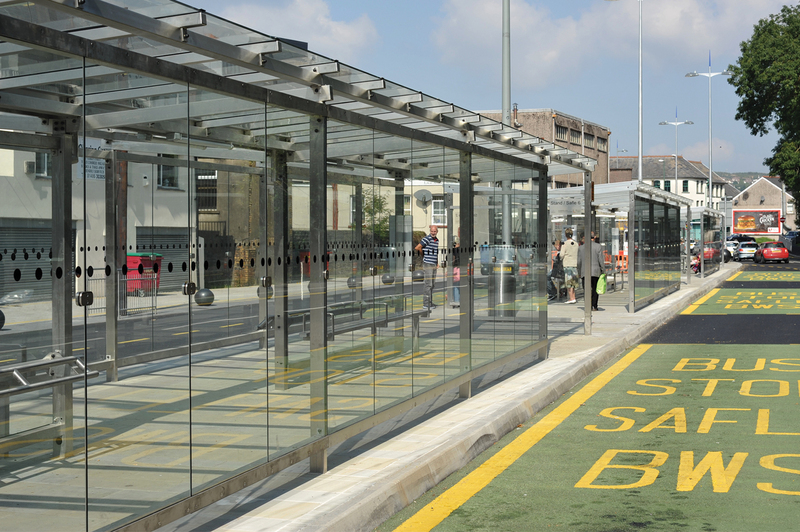 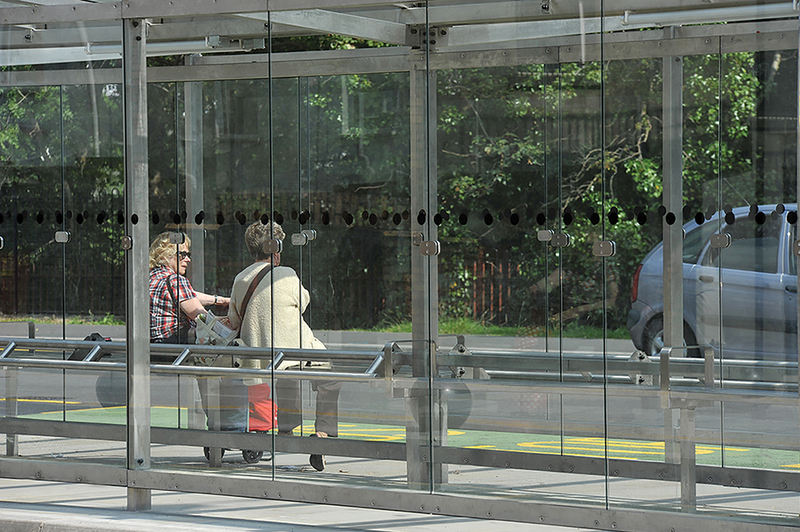 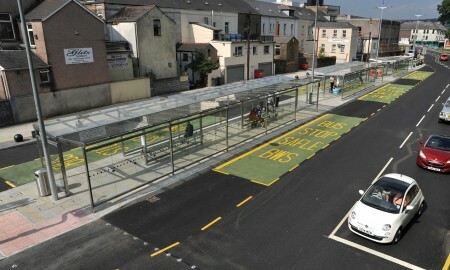 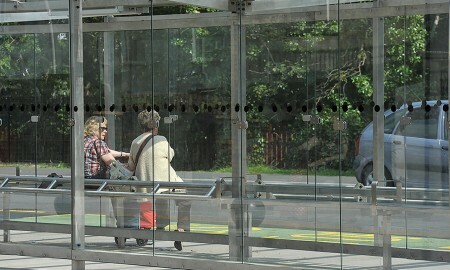 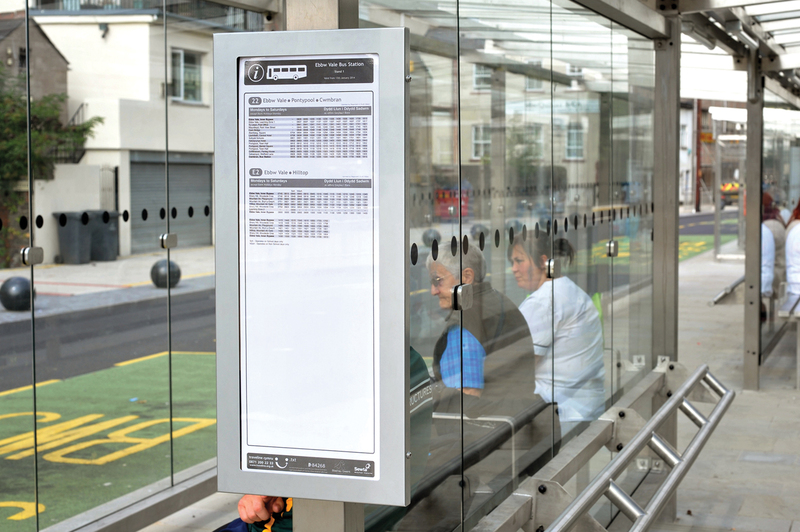 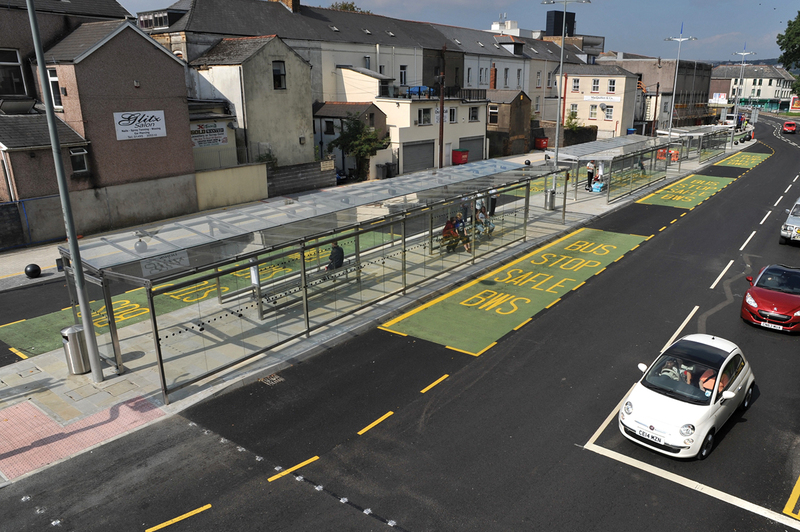 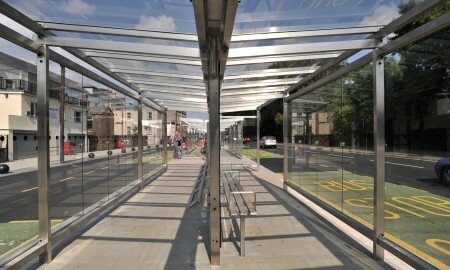 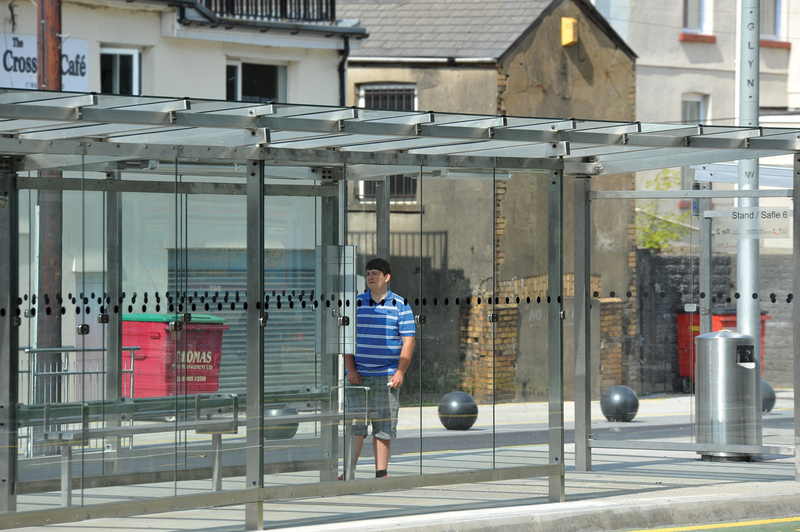 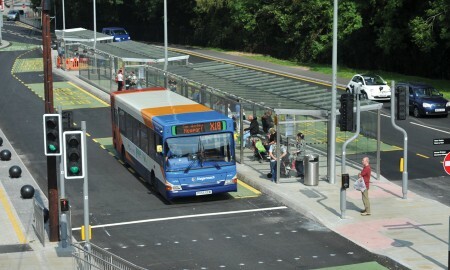 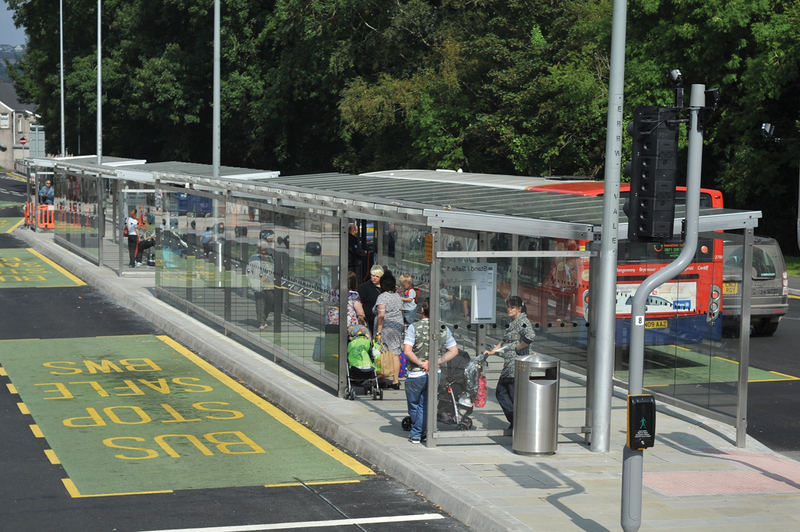 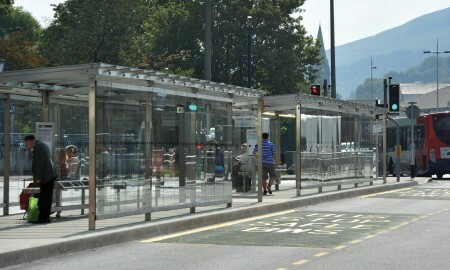 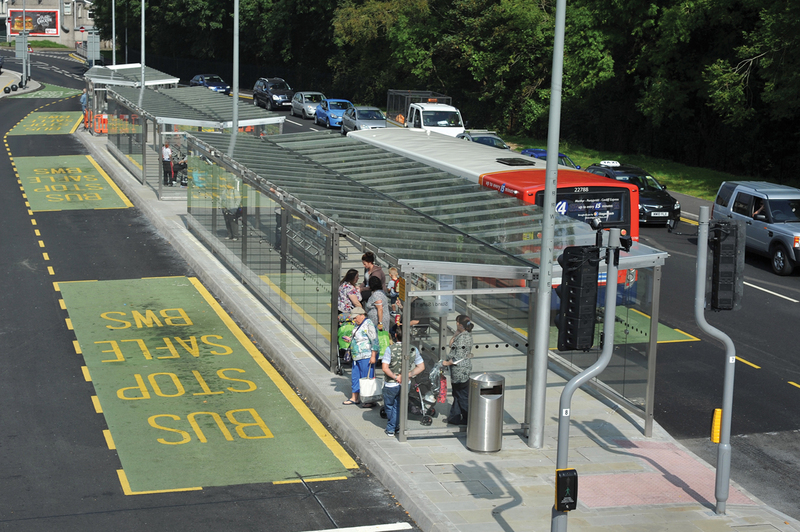 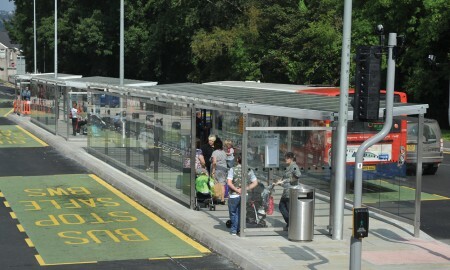 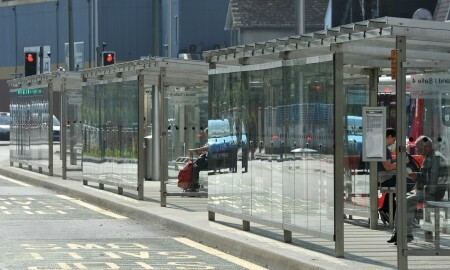 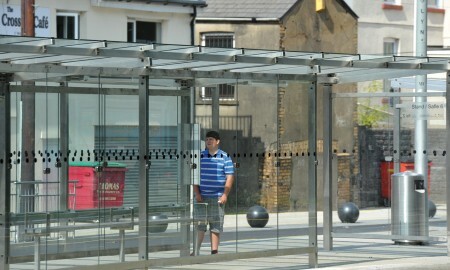 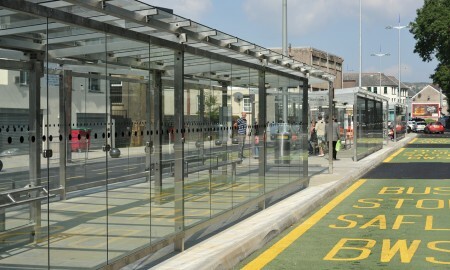 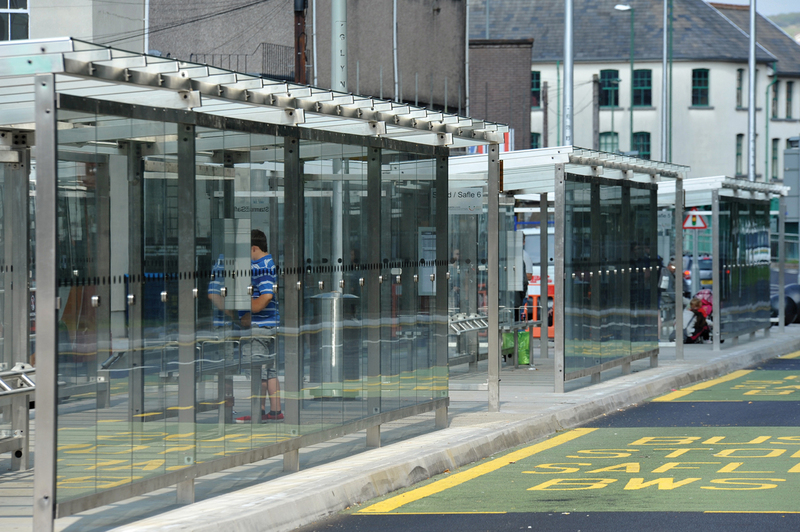 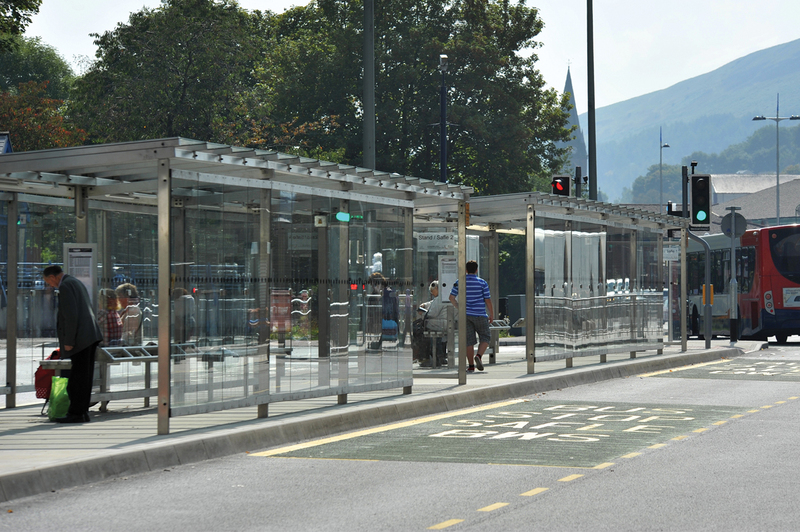 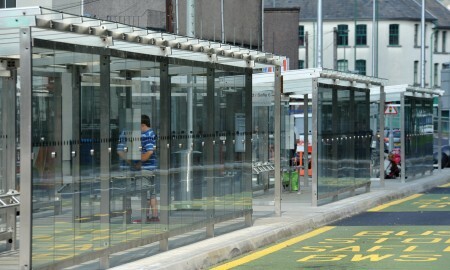 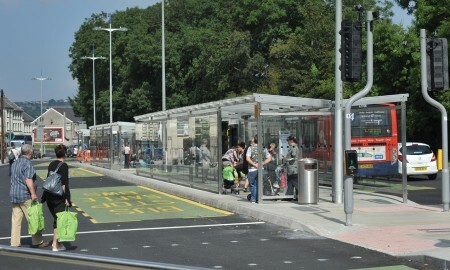 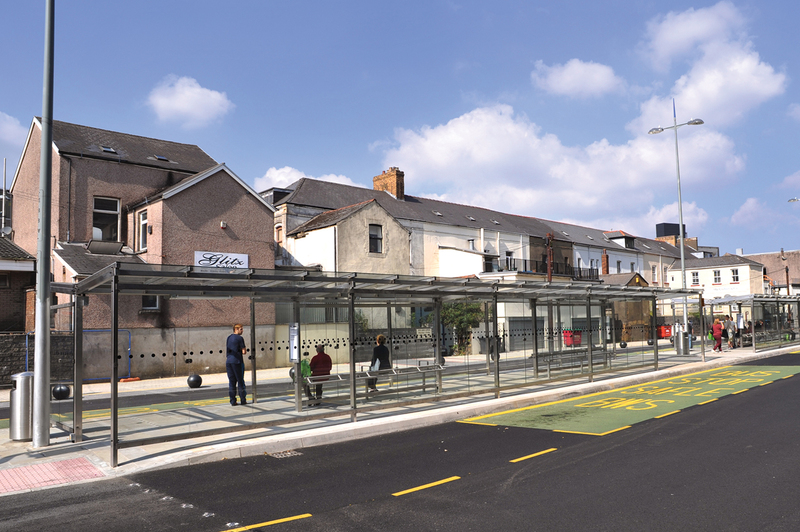 As part of the Ebbw Vale Town Centre Regeneration project, Blaenau Gwent Council wished to replace their old passenger shelters and create a new central bus interchange. 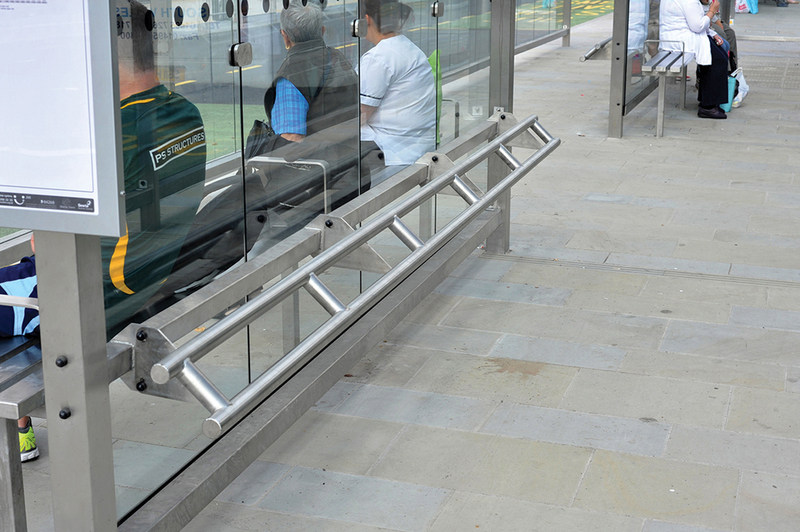 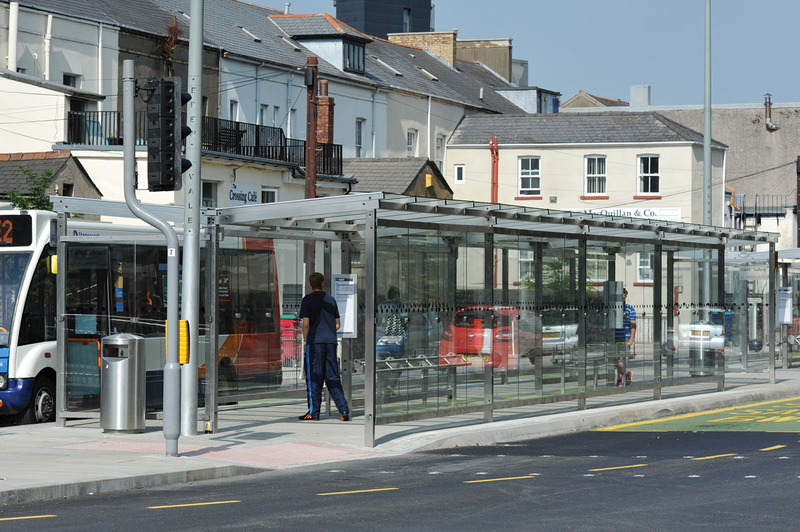 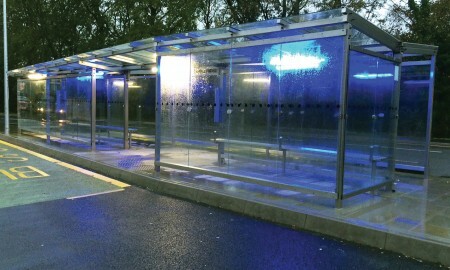 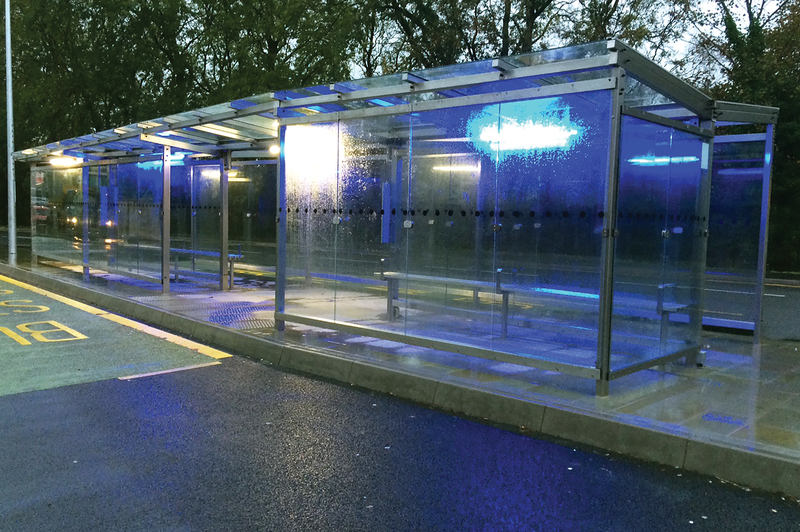 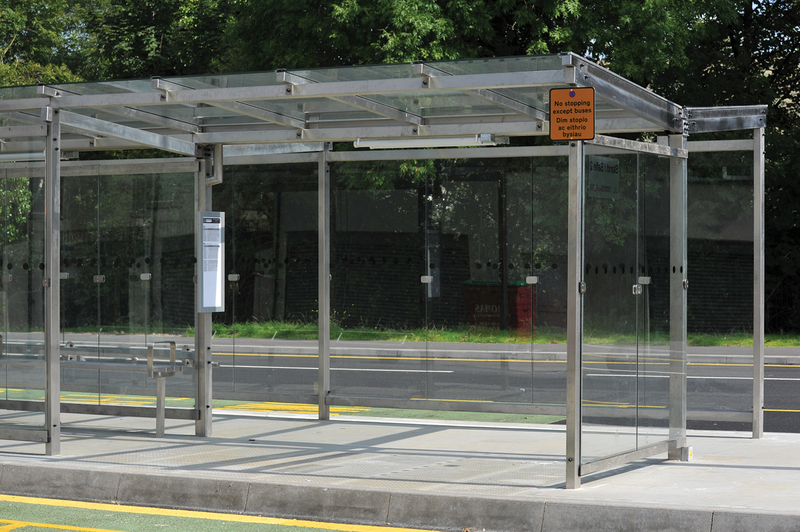 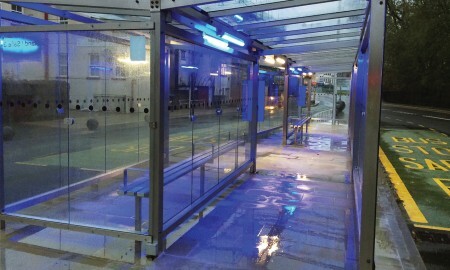 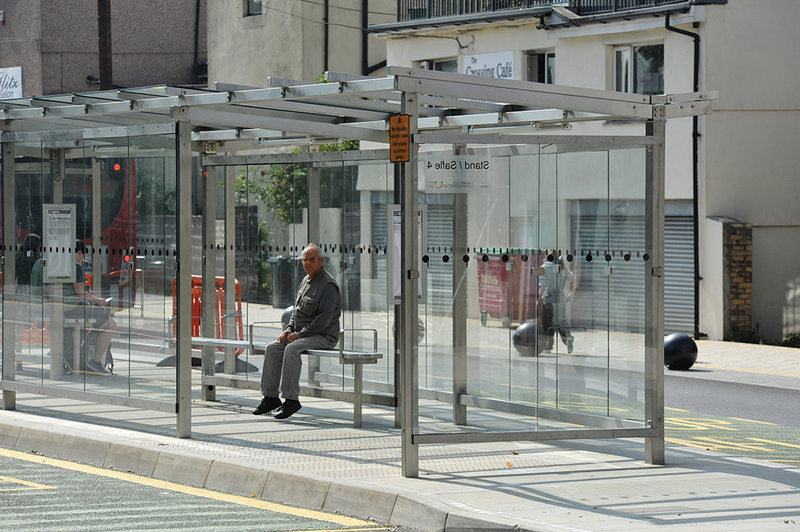 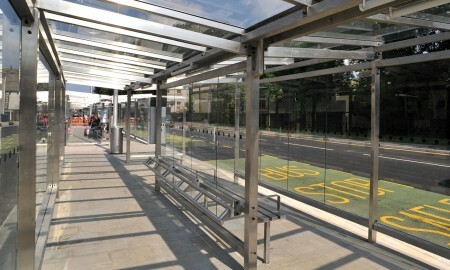 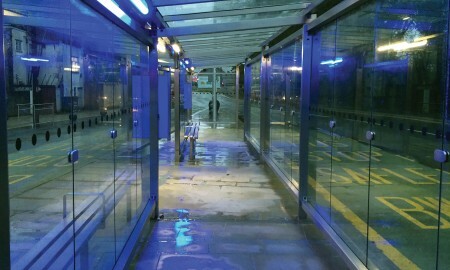 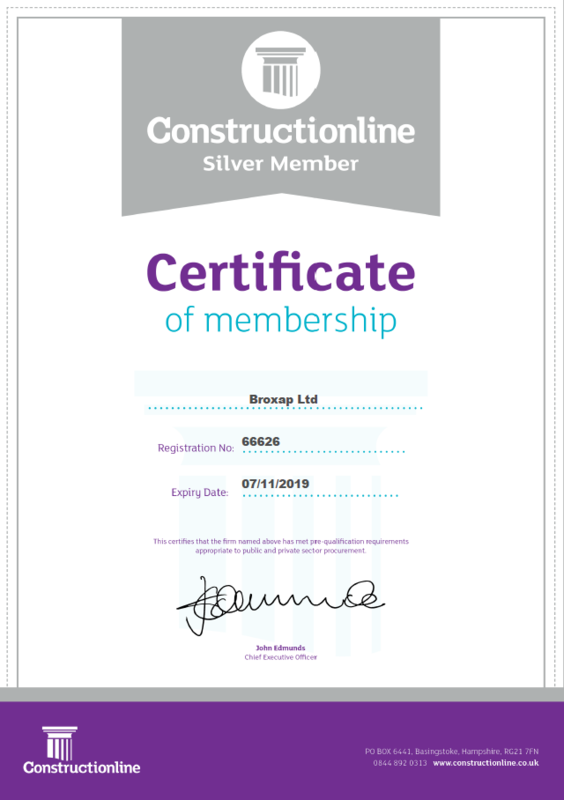 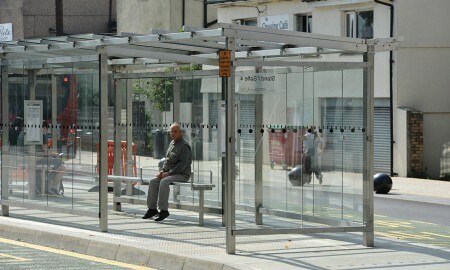 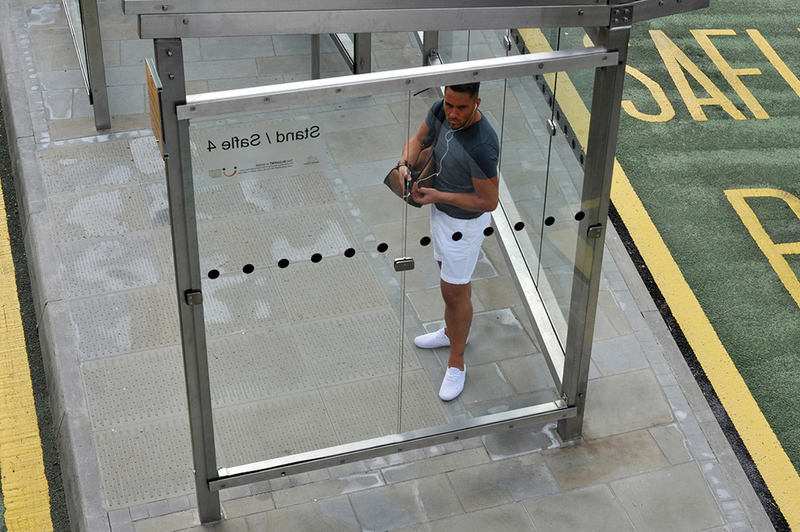 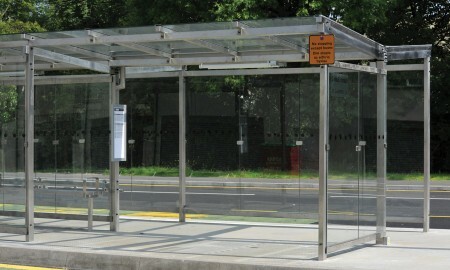 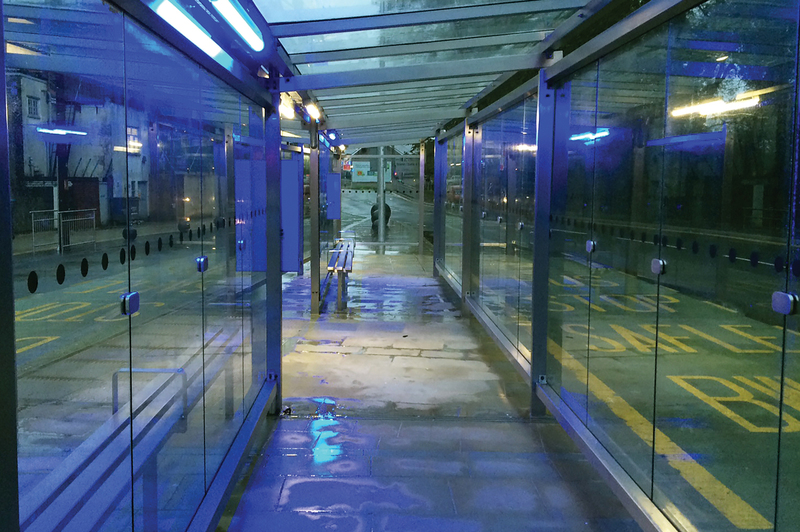 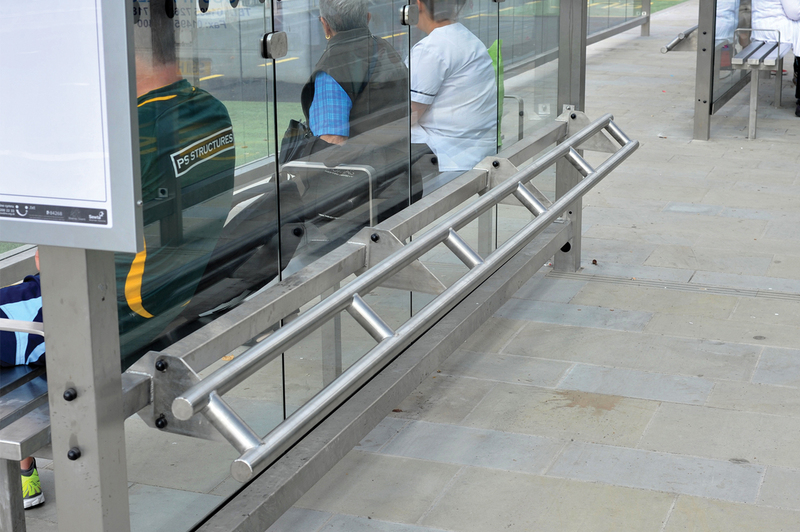 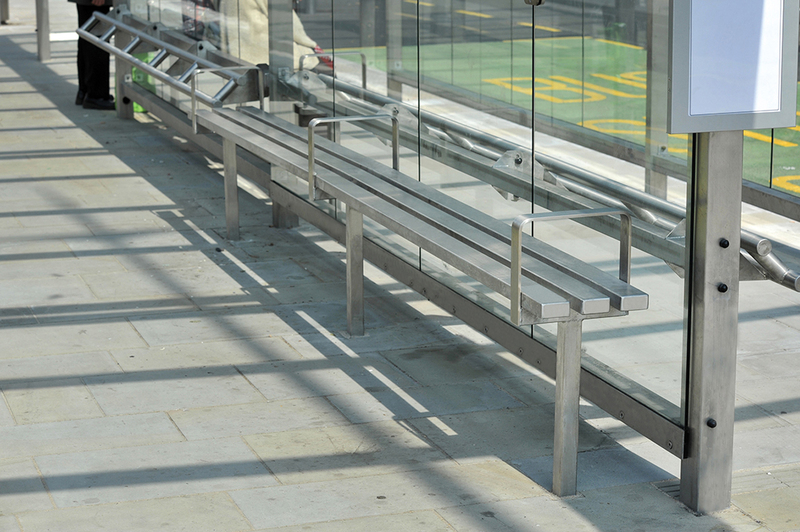 Broxap were asked by the councils contractors to design and install bespoke stainless steel passenger shelters with lighting and seating; the shelters also needed to be DDA compliant. 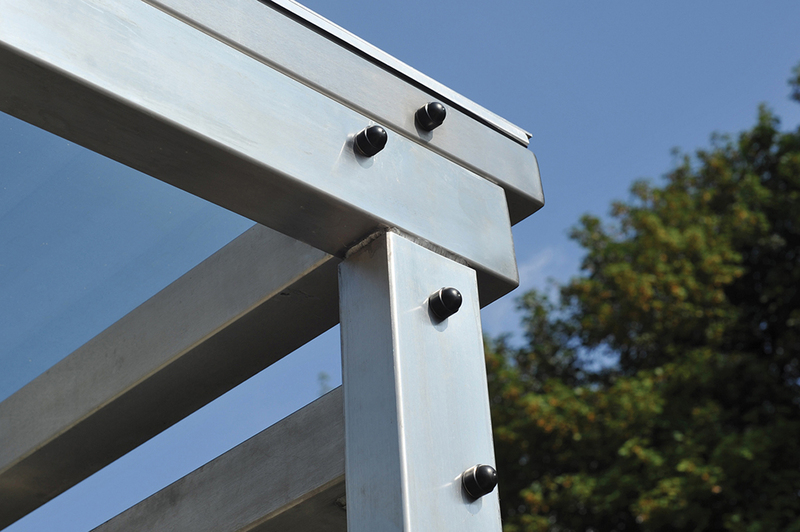 Working alongside the clients to ensure every requirement was met, we established a suitable design. 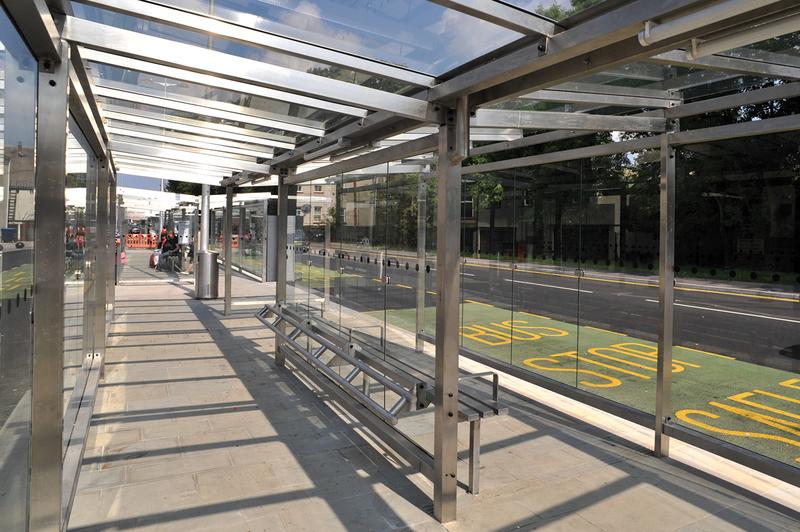 The design incorporated a stainless steel and glass roofing system & side screens, guttering which utilised the vertical columns as downpipes, integral lighting, seating and DDA markings. 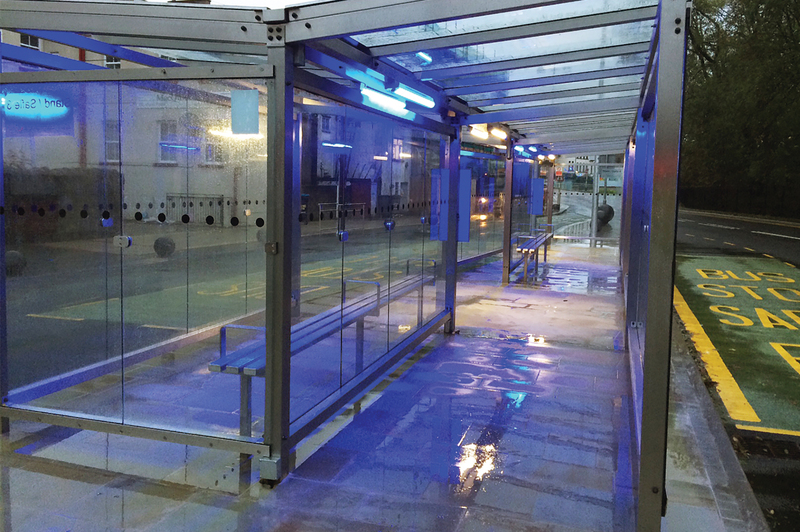 The final design is low maintenance, with clean lines and extensive visibility whilst also giving protection from the elements. 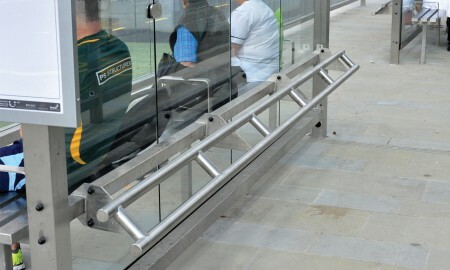 The glazing of the side screens at Ebbw Vale utilised a new design to negate the requirement for additional intermediate vertical support steelwork behind the glass. 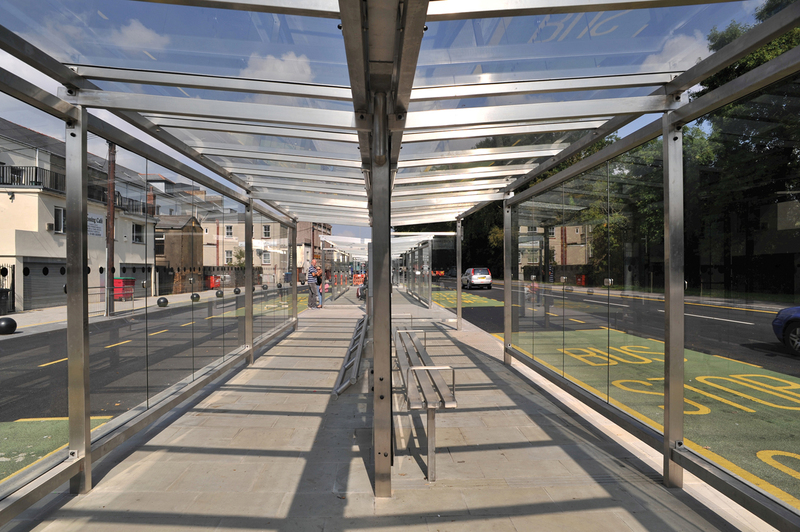 Coupled with the glazed roof, stainless steel structure and wide walkways, this helped to create a more ‘open’ and clean looking and contemporary public sector shelter design. 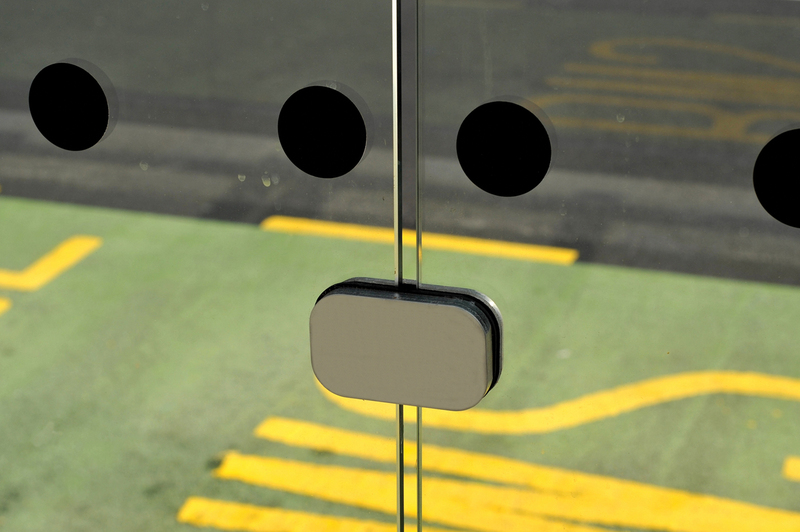 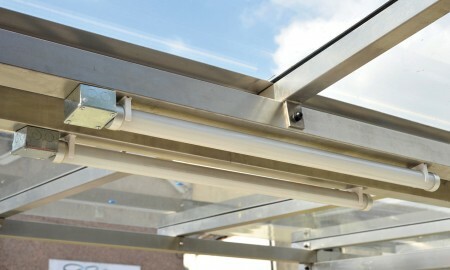 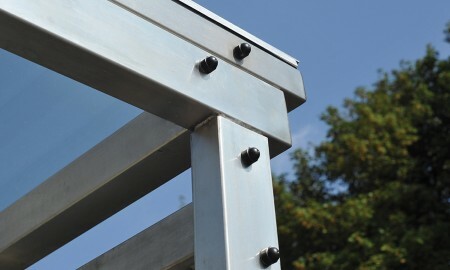 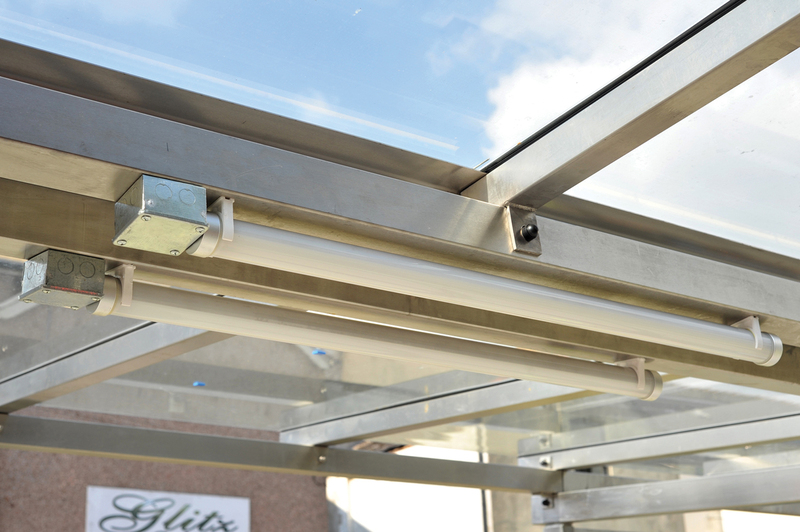 The glass is secured in place using a full length stainless steel clamping system on the top and bottom edges and with intermediate clamps along the vertical centre and fitted with HDPE and neoprene spacers to ensure a tight and secure fit. 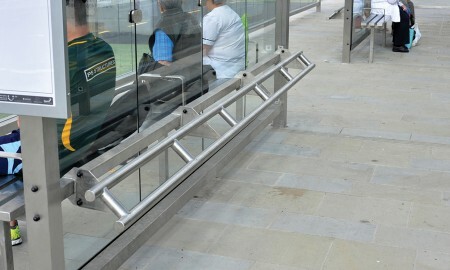 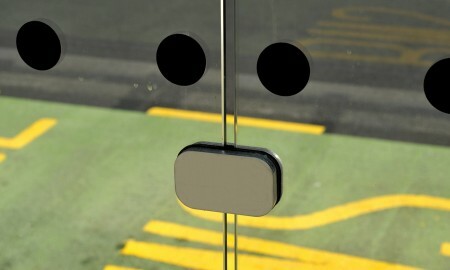 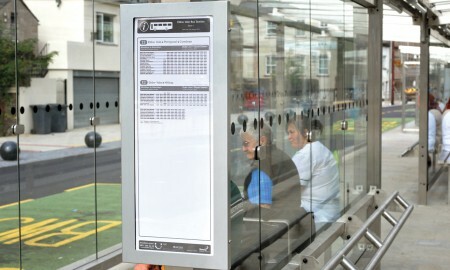 The fixings are countersunk and visible transfers are installed on the glass screens to complete the design and ensure full visibility of the clear glass sides.